LotNetwork.com, the One Site for Homesites, is the nation's premier marketing site for buyers and sellers of residential lots and land. With more than 250,000 residential lot and land listings and our depth of resources to assist you in finding just the right home for your home, LotNetwork.com can help you along the path to building that home of your dreams. Once you find a lot or parcel of land for your home, use our online resources here to find the perfect house plans for your home sweet home. Also find articles about green home building trends, hiring a builder, production vs. custom homes…and more. Construction, Lot and Land Loans: What Type of Loan Do You Need? Your Next Home: Pre-Owned, Spec or Built from the Ground Up? Should You Build Your Own Home (Literally)? Customize your searches to get a list of potential properties that fit your needs. 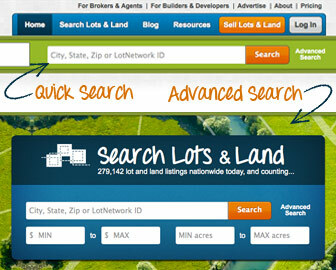 Use Quick Search at the top of most pages and on the Home page for a speedy search by city, state, zip or LotNetwork ID#. Want even more control? 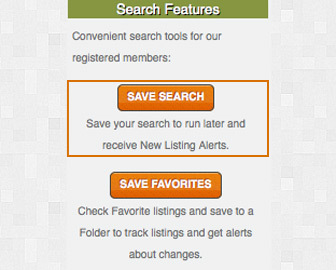 With Advanced Search you can fine-tune searches and filter results using county, keyword and other criteria. 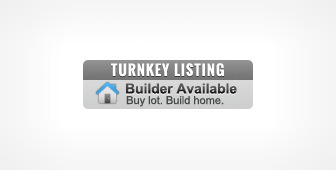 Look for “Turnkey Listings” among our Featured and Premium Listings – these are flagged to let you know that a builder is associated with the lot and is ready to build a finished, turnkey home that is just for you.